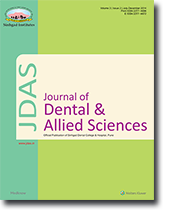 Objectives: In recent years, substantial effort has been evident in the field of mathematical analysis of the dental arch curve, particularly of children from varied age groups and diverse ethnic and national origins. Many eminent authors have put forth mathematical models to describe the teeth arch curve in humans. Each such model had advantages and disadvantages, but none could exactly define the shape of the human dental arch curvature and factor in its features like shape, spacing and symmetry/asymmetry. Recent advances in imaging techniques and computer-aided simulation have added to the attempts to determine dental arch form in children in normal occlusion. This paper presents key mathematical models & compares them through some secondary research study. Methods: Various studies and mathematical models were compared and analyzed particularly in prediction, correction and alignment of dental arch. Results: Commonly used plaster model analysis is cumbersome, whereas many scanning tools, like laser, computer tomography scans, structured light, magnetic resonance imaging, and ultrasound techniques, do exist now for accurate 3-D reconstruction of the human anatomy. The plaster orthodontic methods can verily be replaced successfully by 3-D models using computer images for arriving at better accurate results of study. Conclusion: Mathematical analysis, though now quite old, can be applied satisfactorily in various issues relating to dentistry and the advances in computer imaging, digitalization and computer analysis through state-of- the-art software programs. This could in turn usher in an ideal dental care and treatment environment so necessary for countering lack of dental awareness and prevalence of dental diseases and inconsistencies in children across the world. The purpose of this clinical study was to evaluate post-operative pain, after root canal therapy, performed in one appointment versus two appointment using calcium hydroxide intracanal medicament. Study design: In this in-vivo study, 60 patients requiring root canal therapy on permanent 1st molars were included. Patients were randomly divided into two experimental and one control group. Group1: One visit therapy (n=20) Group2: Two visit therapy with 1 week of calcium hydroxide dressing (n=20) Group3(Control): Two visit therapy with 1 week of sterile dry cotton pellet dressing (n=20) Materials and method : The standard protocol for all the patients included local anaesthesia, isolation & access cavity preparation, chemomechanical preparation with Rotary Protaper NiTi instruments, and irrigation with 3% sodium hypochlorite, 17% EDTA, 0.9%saline and 2% chlorhexidine. Teeth in group1 (n=20) were obturated on the same appointment using single cone technique (6% gutta percha points) and AH Plus sealer. Teeth in group 2(n=20) and group 3(n=20) were given a dressing of calcium hydroxide and dry cotton pellet respectively for a week followed by double seal with Cavit G and IRM. These teeth were obturated on the 2nd appointment using same material and techniques as in group 1. Teeth in all three groups were restored with dual cure composite resin. A modified Visual Analogue Scale was used to measure preoperative pain and postoperative pain after 6, 12, 24 & 48hrs interval. Statistical analysis was performed using an independent-sample t test. There was no statistically significant difference between groups at any of the four postoperative intervals. There was no significant difference among all the three groups studied after 12, 24hrs & 48hrs. Conclusion : Within the limitations of this in vivo study, it may be concluded that Single Visit Endodontics provides excellent results, if care in diagnosis and proper case selection is given importance. Calcium hydroxide has no relation in eliminating or reducing postoperative pain. Periodontitis is an infectious disease caused by predominantly gram-negative, anaerobic bacteria like P. gingivalis, A. actinomycetemcomitans T. denticola and T. forsythus etc.. Various immunization approaches both as active and passive immunization, against periodontal pathogens have been explored either using the whole microorganism or their specific virulence factors. Non-human primate and other study models have demonstrated raised production of specific antibody titers against various antigens without any recognizable systemic side-effects. But, the current status of our understanding in the field of vaccines against periodontal disease is incomplete. Ongoing research & collaborative efforts can result in development of functional periodontal vaccine for human use in future. The coordination of complete dentures with neuromuscular function is the foundation of successful stable dentures. The lower denture commonly presents the most difficulties because the mandible atrophies at a greater rate than the maxilla and has less residual ridge for retention and support. Regardless of implant availability, physiologically optimal denture contours and physiologically appropriate denture teeth arrangement should be achieved to maximize prosthesis stability, comfort, and function for patients. The neutral zone technique is most effective for patients who have had numerous unstable, unretentive lower complete dentures owing to atrophied ridge, altered or diminished neuromuscular control or more powerful oral musculature.This article illustrates the concepts and canons behind the neutral zone and the techniques for recording it. Stainless Steel crowns (SSC) were introduced in 1947 by the Rocky Mountain Company and popularized by Humphrey in 1950. Prefabricated SSC can be adapted to individual primary teeth and cemented in place to provide a definitive restoration. The SSC is extremely durable, relatively inexpensive, subject to minimal technique sensitivity during placement, and offers the advantage of full coronal coverage. SSC are often used to restore primary and permanent teeth in children and adolescents where intracoronal restorations would otherwise fail. This article brings the update of this definitive restoration. A decrease in orthodontic treatment time is not only a demand by the esthetically concerned patient but is also the duty of every orthodontist. With the advent of 810 nm diode laser it could be made possible. This article presents a case series wherein use of 810 nm has been used to biostimulate the tissues and thereby resulting in increased rate of tooth movement appreciated by amount of clinically detected space closure. A small oral ulcer can be very distressing to a patient. When such patients seek dental care, oral physicians play a major role by symptomatic and supportive treatments. If the causative agent is sharp tooth cusp, it is usually managed by coronoplasty or at times, by extraction of the offending tooth. Here the authors present case reports of patients having chronic ulcers that were managed with a new alternative approach of preserving the tooth by using a cheek retractor to relieve irritation from the sharp teeth and were followed up with good results. Central giant cell lesions are considered to be benign lesions of mandible. The true nature of this lesion is unknown, and as a result, there is considerable controversy in the literature to whether it is a true neoplasm or a reactive response. A case of central giant cell lesion in a 3year old child is presented here with one year follow up. The restoration of root canal treated teeth, because of the significant loss of tooth structure, is often achieved with post and core. The development and use of fiber-reinforced composite root canal posts make possible of the reattachment of the crown esthetically. This case report illustrates a technique for rehabilitation of an endodotically treated maxillary lateral incisor with a carbon fiber composite post. Although Dens invaginatus and fusion are well-known and well established dental anomalies, they are rarely seen in supernumerary teeth. In this article, simultaneous occurrence of Dens invaginatus and fusion between maxillary lateral incisor and a supernumerary tooth is described. Dens invaginatus is clinically significant due to the possibility of the pulpal involvement; pulpitis, necrotic pulps and chronic periapical lesions are often associated with this anomaly without clinical symptoms. Fusion has a negative impact on the aesthetics, especially when it occurs in maxillary anterior teeth. It is difficult to clinically make differential diagnosis between fused teeth and geminated teeth, especially when these anomalies take place together with hypodontia or supernumerary tooth. It has been found that sequel of such teeth may result in delayed eruption, ectopic eruption or even impaction of permanent teeth; hence proper diagnosis by clinical and radiographic methods and intervention at appropriate time is of paramount importance. The accurate knowledge of variations in morphology of tooth and pulp cavity greatly assists the dentist in planning successful treatment options.